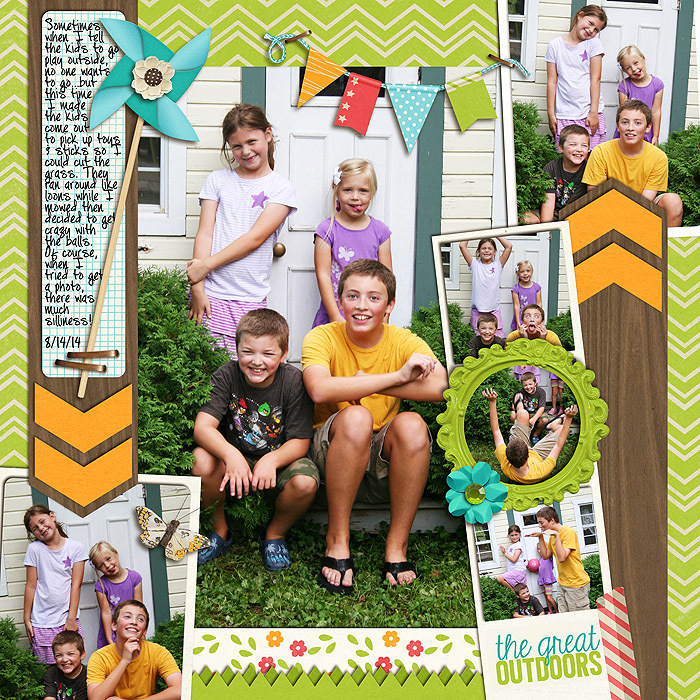 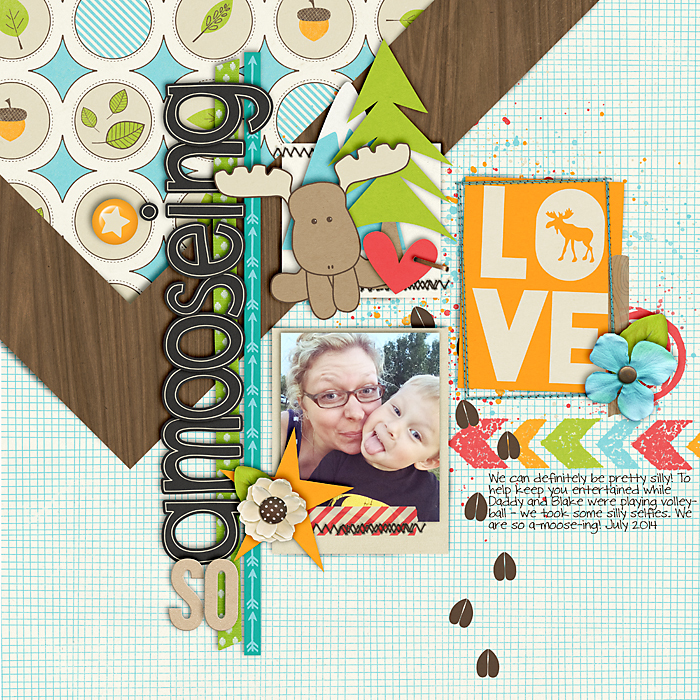 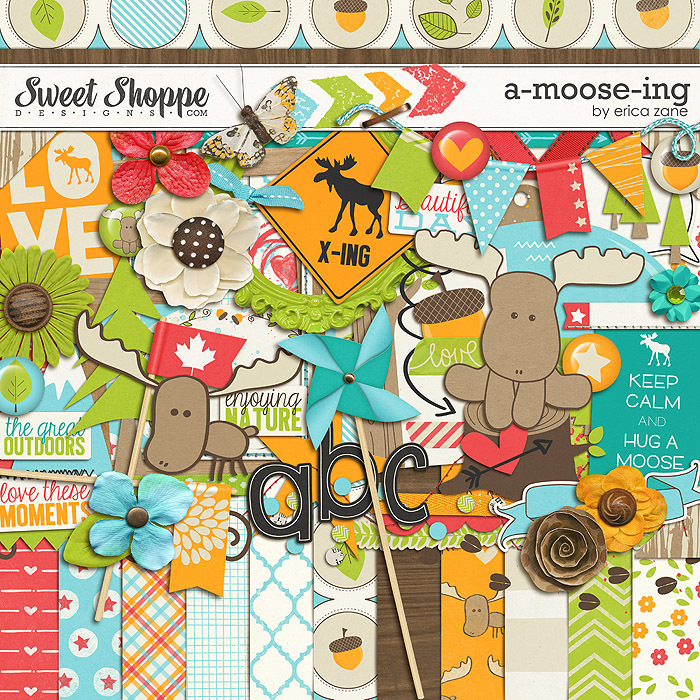 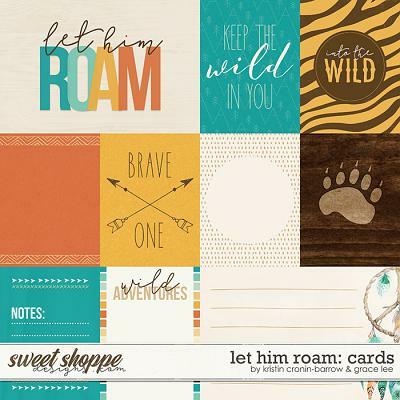 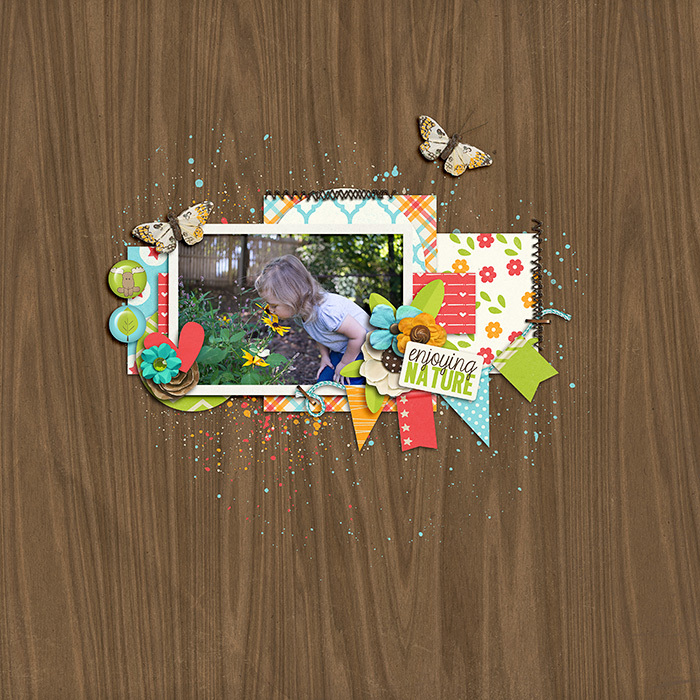 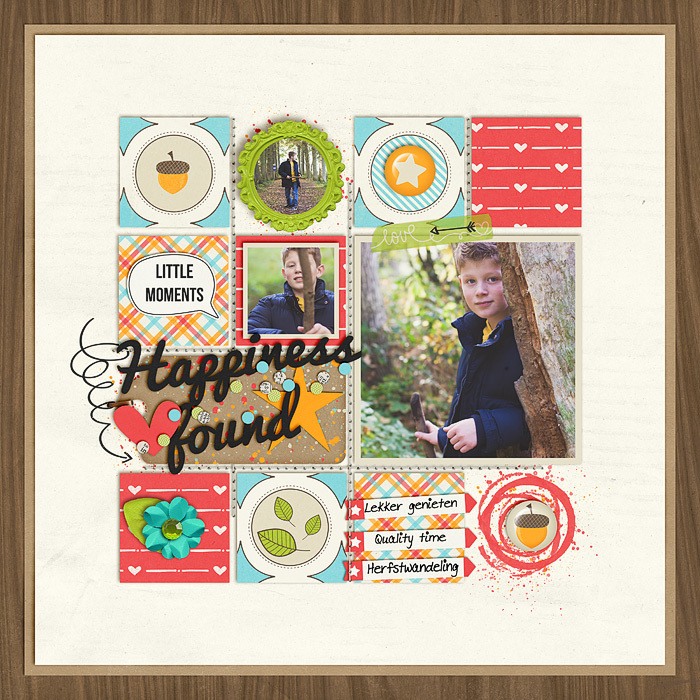 A digital scrapbooking kit by Erica Zane, A-moose-ing is a super fun and cute outdoorsy type kit complete with a pair of moose! 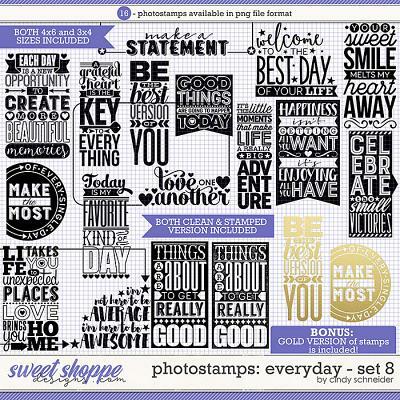 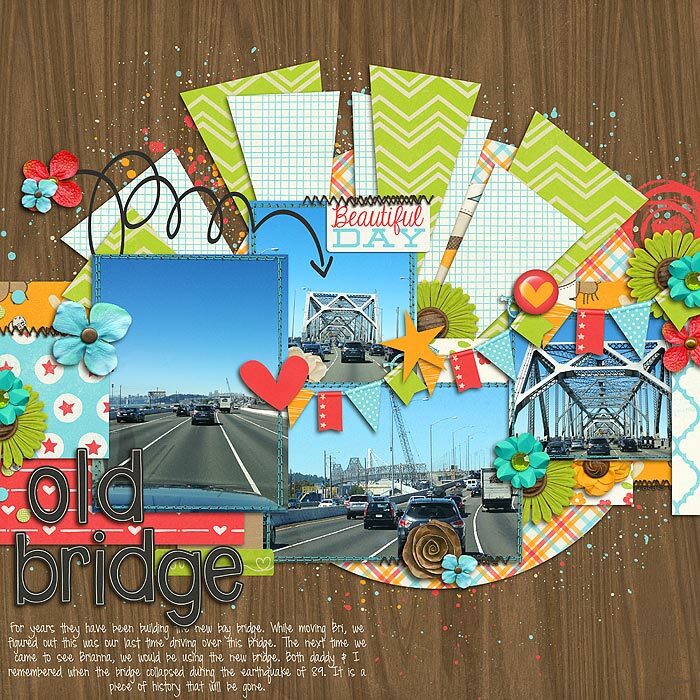 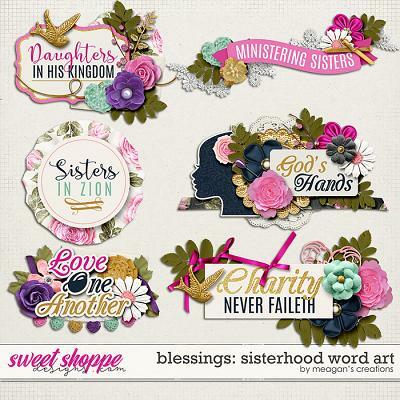 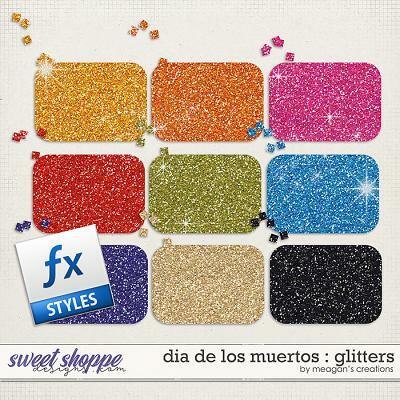 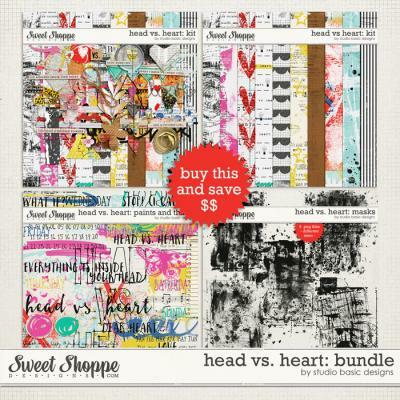 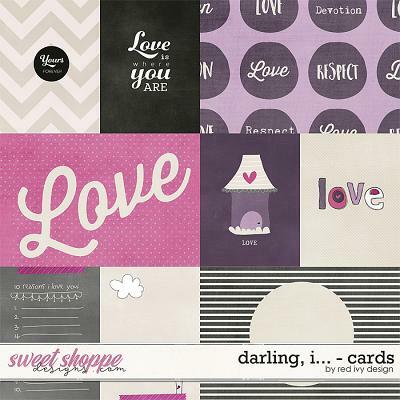 Packed with 20 digital scrapbook papers, more than 70 digital scrapbook elements and a digital scrapbook alphabet (saved as individual .png files). 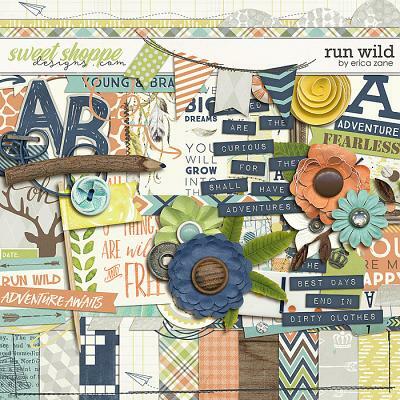 The elements include: 7 flowers, 6 pieces of word art, 5 pieces of flair, 4 pieces of trim, 4 sets of stitches, 3 pieces of tape, 3 frames, 3 leaves, 3 paint spills, 3 ribbons, 2 moose, 2 arrows, 2 banners, 2 flags, 2 journal cards, label, pinwheel, doodle, chevron, heart, confetti, set of photo corners, acorn, lake, mountain, tree, tree trunk, moose crossing sign, moose tracks, speech bubble, star, tag and a staple.